Jo is LEAF's Open Farm Sunday Regional Co-ordinator for the South East and here she shares her ideas and experience on how to publicise your LEAF Open Farm Sunday event. 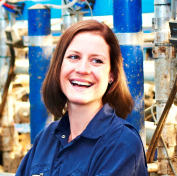 Jo and her family are third generation tenants of a farm in the South Downs National Park, and they regularly host LEAF Open Farm Sunday events. The farm is just shy of 1,000 acres – mixed dairy and arable, with small beef and sheep enterprises; their milk is sold to Tesco, via Arla. For many farmers, their biggest worry is either not having enough visitors or being overrun by too many people on the day. The weather plays an important part and will undoubtedly impact on visitor numbers, but one thing which is in your control is publicity and how you promote your event. Being clear about what visitors can do at your event so that they come prepared! 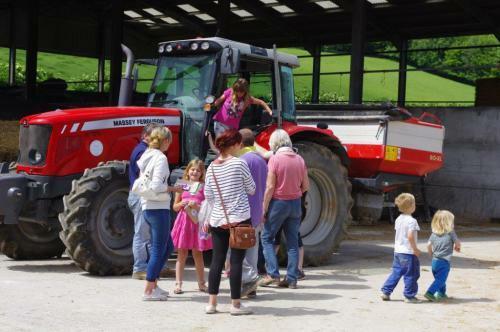 In 2016, 22% of Open Farm Sunday visitors had never been on a farm before – so what is obvious to you and me, may be fairly alien to your visitors! If your main event activity is a farm walk which is likely to be muddy, ask visitors to come ready to walk, know to wear wellington or walking boots, and to come with sun tan cream or waterproofs! It sounds strange, but the best way to tackle publicity is to first decide what you want to achieve: how many visitors do you want; where they might come from; and how you are going to reach them. Once sorted, then you can plan your communications accordingly. Thanks to the national Open Farm Sunday sponsors, LEAF produced a range of fantastic resources for you to promote your event. You can now order different size resource packs to fit the size of event you are planning to run. Order them free of charge here – you will need to log in to the system to place an order. You will need to adapt your publicity to the scale of event you are organising. Small events: If you want to host a very small event for a select group of people, opt to ‘hide’ your event so it does not appear on the Open Farm Sunday website. Order the FREE Open Farm Sunday postcards which you can use to personally invite friends, neighbours, local interest groups, parish councillors, etc. Ask people to RSVP to give an idea of how many people will attend. Medium events: Promote your event in the parish magazine, on village websites. Order FREE Open Farm Sunday flyers and posters to overprint with your event details and distribute locally. Use local networks such as the Scouts, WI, Rotary Club, conservation group, etc. Contact local primary schools and ask if you can provide promotional text to go in the school e-newsletter to parents or if they will put an event flyer into each child’s school book bag. Larger events: You will need to start early and carry out plenty of promotional activity. 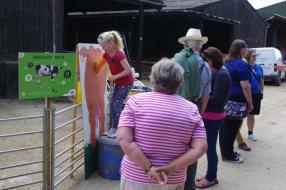 Use the Open Farm Sunday flyers and posters and distribute them widely. Promote your event in local ‘What’s on guides’. Adapt the template press release and distribute it with a great ‘on farm’ photograph to local and regional newspapers and magazines, your regional TV and radio stations. Put up Open Farm Sunday road-side banners a couple of weeks before the event. Use social media to reach out to local communities and spread the word. Make sure you do enough! As a general rule, invite twice as many people to get the numbers you want. When promoting your event on posters, websites, etc, give visitors a clear idea of what to expect. They will want to know what they can see and do on the farm. If refreshments will be available or if they can bring a picnic. If dogs are welcome or not. Is your event wheelchair friendly. Will there be any charges or is the whole event free. Most importantly, if it rains will the event go ahead and how much will be under cover. 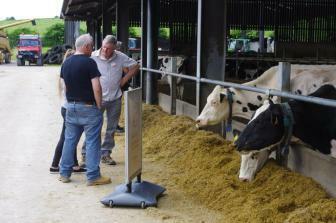 Of course, don’t forget to use some marketing flair: a farm walk can be packaged as a ‘Farm Safari’! A fun photograph of a cute animal will appeal to many. Planning Don’t forget some publicity tactics require long lead times, such as adding an entry to a ‘What’s on’ guide in a monthly magazine, or getting a feature into a parish magazine. Other activities are more immediate – it can take minutes to set up a Facebook, Twitter or Instagram account and you can tap into the power of social media to swiftly have your event promoted, shared and liked by hundreds of people. It is conceivable that if you unwittingly post something that is far more of a draw than you imagined, you could end up with more people than you bargained for. However, in my experience this has never happened - but consider what you post before clicking ‘post’!